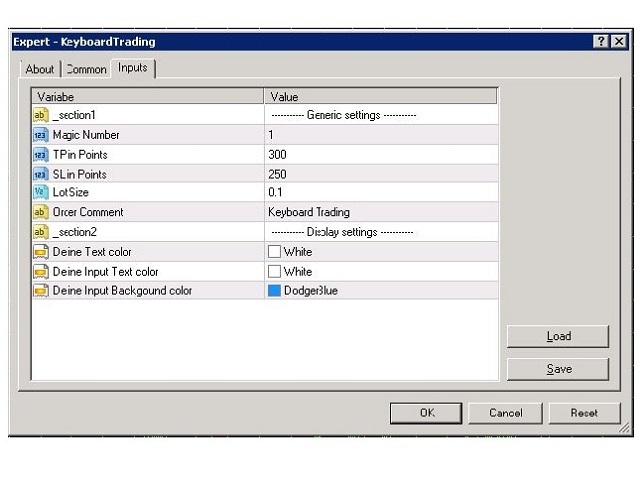 This tool allows you to open and close orders with your keyboard. As opening and closing orders with your keyboard is faster than with your mouse, this tool is very useful for Scalpers. 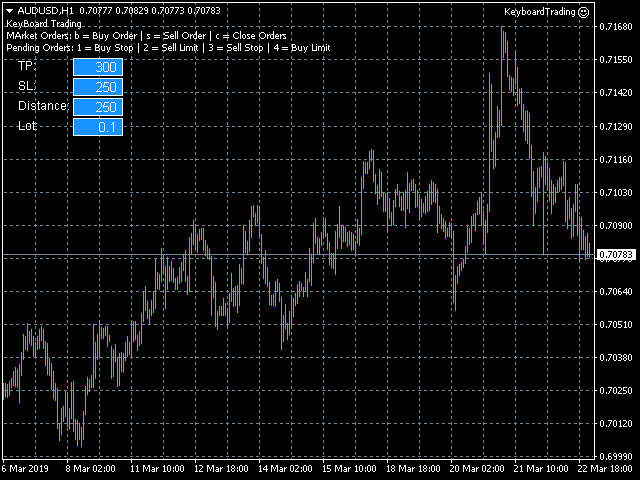 If you press the key "b", it will open a buy order with lot size, SL and TP as specified in the settings. 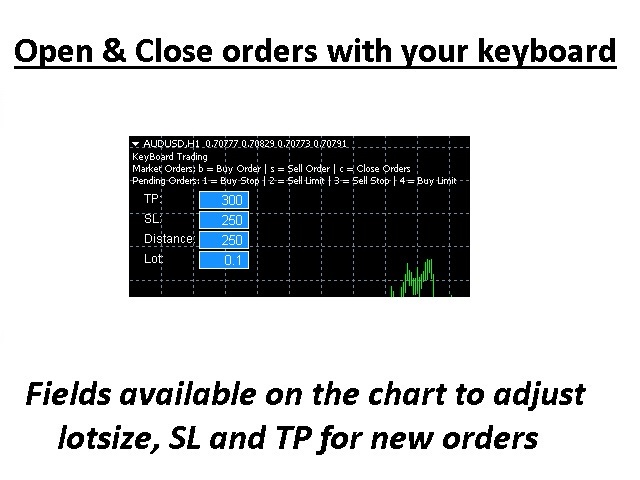 If you press the key "s", it will open a sell order with lot size, SL and TP as specified in the settings. If you press the key "c", it will close all open orders which are created by this tool. If you press the key "1", it will create a Buy Stop Pending order with the distance as per the input field on the chart. If you press the key "2", it will create a Sell Limit Pending order with the distance as per the input field on the chart. If you press the key "3", it will create a Sell Stop Pending order with the distance as per the input field on the chart. If you press the key "4", it will create a Buy Limit Pending order with the distance as per the input field on the chart. The settings for the Lot size, Stoploss and TP can be adjusted on the chart. Distance from price (Points) Only for Pending orders: This is the distance from the current market price where the pending order will be placed. This is only applicable for pending orders. Seconds to cancel pending order. Only applicable for pending orders. Please take a look to my other products. All my products are developed to help you in your trading. Very good tool! Many thanks to the developer. Very easy to work with.